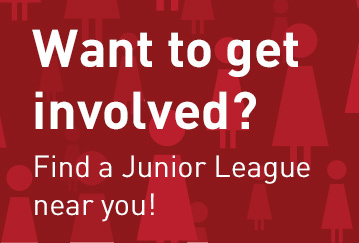 For 30 years, numerous Junior Leagues have worked on the forefront of preventing violence against women, educating the public, operating transitional housing, and providing counseling to victims. They have also advocated for the prosecution of perpetrators with federal legislators, ultimately helping to write and pass the Family Violence Prevention and Services Act. In October 1981, the National Coalition Against Domestic Violence launched a “Day of Unity” for those combatting domestic violence to unite and connect. Over the years, the day has since evolved into a national month of awareness on the issues of Domestic Violence and Intimate Partner Violence across the United States. We take this month as an opportunity to deepen our understanding of the issues and lift up and connect with those who work to end violence across the globe. What are Domestic Violence and Intimate Partner Violence? In the United States, an average of 20 people experience intimate partner physical violence every minute. This equates to more than 10 million abuse victims annually. In Canada, 25% of all violent crimes reported to police involve family violence. In the United Kingdom, an estimated 4.3 million women aged 16-59 have experienced domestic abuse. In Mexico, a 2016 nationwide survey reported that 43.9% of women have suffered some form of intimate partner violence in their lifetime. Family violence has no home in Collin County, but hope does. In pursuit of this vision, the Junior League of Collin County (JLCC) convenes and facilitates the Collin County Council on Family Violence (CCCFV). What started as a JLCC initiative and workshop in November 1999 has since flourished into an active Council of more than sixty community partners that strives to eliminate and respond to family violence through a coordinated, comprehensive effort. The Council partners with elected officials, law enforcement, government agencies, and community organizations to provide education, prevention, intervention, and seamless 24-hour assistance. In 2017, CCCFV approved a new mission statement: The Collin County Council on Family Violence strengthens collaborative, professional partnerships and serves as a catalyst for a sustained movement against family violence in Collin County. Recognizing that survivors of domestic violence require support and resources as they transition out of their abusive circumstances, the Junior League of Collin County built a curriculum to address the specific needs of women living in crisis shelters. JLCC partners with a 90 day crisis shelter which offers safety to women and their children who are fleeing situations of domestic violence. Volunteers deliver weekly meals and classes on resume building, interview questions, finances, reclaiming identity and self-care. Inn Transition is a creative and vital answer to transitional housing for victims of domestic violence and their children. In a partnership created with Miami-Dade County, these apartment facilities provide housing, counseling, and child-care for a period of three to 24 months for families. The program is an integral component of the continuum of care which victims need to break the cycle of domestic violence. Building and expanding the facility has been only a part of the League’s continuing commitment to Inn Transition over the past 20+ years. League members also serve as resident mentors, serving as a guide, a friendly ear, and a supportive voice. Miami-Dade County's Coordinated Victims Assistance Center (CVAC) provides intervention and supportive services to victims of domestic and sexual violence and their dependent children. CVAC has been in operation since October 2008 and coordinates the services of 33 onsite partners that collectively offer a range of services for victims and their dependent children. The Junior League of Miami partners with CVAC to ensure that clients are empowered and prepared to enter the workforce. League members host workshops on topics including job interviewing techniques and business etiquette. The Junior League of Northwest Arkansas is committed to eliminating the possibility of domestic violence by ensuring that those impacted by domestic violence have the skills, training, and resources needed to heal and never re-enter, be exposed to, or trigger domestic violence or the cycle of abuse in their lifetime. Through partnerships with local children’s homes and women’s shelters to provide support in a broad menu of ways, ranging from supply drives to events and celebrations. Hundreds of children are removed from their homes each year in Northwest Arkansas because of neglect or abuse. Often times, as these children are placed in foster care by the Department of Health and Human Services, they are unable to bring personal items with them. The Junior League of Northwest Arkansas saw an opportunity in 2002 to help ease this transition for children. Members developed That’s My Bag to provide displaced children with a backpack filled with common necessities, providing them with not only the essentials, but also a piece of comfort in a place that is foreign to them. JLNWA’s partnership began with Judge Stacey Zimmerman who openly noted the need for tangible support for children in her court. From there, the project expanded to partner with DHS offices throughout Northwest Arkansas keeping strategic contacts in each office so that inventory remains steady. All backpacks have a book and new blanket, then age/gender appropriate toiletry items, diapers or underwear, and a toy. The older age group bags have items such as feminine hygiene products and all the bags have a journal and pen to provide a writing outlet for the recipients. Recently, That’s My Bag has grown and evolved into an additional opportunity to support women as they start a new life outside of local shelters with “Departure Packs” filled with items needed for new beginnings. Women and children often arrive at a domestic violence shelter with nothing but the clothes on their backs. The Junior League of Kansas City recognized this gap in services, and thus was born the idea for Hope and Healing Kits. League members assemble kits with basic needed items to ease new residents’ transitions from abusive situations. To date, the League has donated hundreds of kits to two local domestic violence shelters. In 2015, the Junior League of Milwaukee selected Safe Home Environment as its centennial community partner. The Safe Home Environment program helps pregnant women and new moms whose lives have been affected by domestic violence. Abused pregnant women are 40% more likely to deliver a pre-term or low birthweight infant requiring extended or resource-intense care in the hospital. When domestic abuse or intimate violence during pregnancy occurs, the child of a pregnant woman is at high risk for poor birth outcomes. With high housing costs across the Greater Milwaukee area, it is difficult for moms to find a safe place they can afford on their own and as a result many stay with their abusers or with friends and family members. The Safe Home Environment partnership allows the Aurora Abuse Response program Safe Mom, Safe Baby to add safe housing at Mercy Housing’s St. Catherine Residence to its wrap-around services for expectant mothers threatened by domestic violence. After extensive training, Crisis Intervention volunteers with the New York Junior League assist domestic violence and sexual assault survivors in New York City hospitals. In partnership with New York Presbyterian Hospital’s Domestic and Other Violence Emergencies (DOVE) program, volunteers to offer advocacy, emotional support, and information to survivors of intimate partner violence and sexual assault during their stay in the ER. After one year on call, volunteers become certified New York State Crisis Counselors. The Junior League of Springfield, Missouri partners with an array of healthcare providers and institutions to open Isabel’s House, the Crisis Nursery of the Ozarks, which addresses the physical and psychological needs of children whose families are in crisis. Leagues in four countries adopt the Silent Witness initiative to combat domestic violence in their communities. The Junior League of Oakland-East Bay established the Family Stress Center to aid victims of domestic violence. Nearly 40 years later the center has merged with another entity to become Stand! For Families Free of Domestic Violence and expanded its scope of services—as well as the number of families it helps. The Junior Leagues played a significant role in the passage of the Family Violence Prevention and Services Act, the first federal legislation to address domestic violence in the 1980s. Today, numerous Leagues continue to work in substantive ways to educate the public about the problem and to prevent violence against women and their dependent children.